Designed for Class 1, Division 1, Hazardous Locations, Groups C & D, ATEX Zone 1. Available for Symbol, Cisco, Meru, Meraki, Aruba, HP, and Motorola access points. Model AP202 - Aruba The AP202 is designed to house the Aruba AP70 access point. 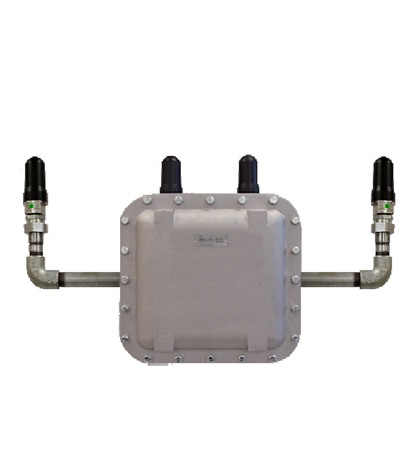 The hazardous area enclosure includes four Analynk CTX UL listed Class 1, Division 1, Groups C & D, Zone 1, ATEX Zone 1 antennas (two 2.4GHz & two 5.0GHz), mounting bracket with hardware and four antenna to AP70 RF cables. Model AP100/200 Symbol & Cisco 802.11 b/g access port designed for Class 1, Division 1 or Zone 1 locations. The AP100 and AP200 hazardous area access points are design to accommodate the Symbol AP-300 or Cisco AIR-AP1242AG-A-K9 access points respectively. The access points are utilized to extend the 802.11b/g network into the hazardous area. The design incorporates two Analynk CTX UL listed Class 1, Division 1, Groups C & D, Zone 1, ATEX Zone 1 antennas. The enclosure includes a mounting bracket, hardware and antenna cables to easily mount the Symbol or Cisco access point. The indicators on the Symbol access point are viewable through the glass window. Other access points may be used, contact the factory for more information. Model AP300 Cisco Dual Band The AP300 dual band (2.4GHz & 5GHz) hazardous area access point enclosure is design to accommodate the Cisco AIR-AP1242AG-A-K9 (not included). The AP300 may be used to extend the 802.11a/b/g network into the hazardous area. The enclosure includes four ( two 2.4GHz & two 5.0GHz) CTX UL listed Class 1, Division 1, Groups C & D, Zone 1, ATEX Zone 1 antennas. The enclosure includes a mounting bracket, hardware and antenna cables. Other access points may be used, contact the factory for more information. The 3" x 5" window is optional. Model AP400 Cisco Dual Band The AP400 dual band (2.4GHz & 5GHz) hazardous area access point enclosure is design to accommodate the Cisco AIR-LAP-1262N-E-K9 or AIR-CAP3502E-A-K9 (neither included). The AP400 may be used to extend the 802.11a/b/g network into the hazardous area. The enclosure includes six ( three 2.4GHz & three 5.0GHz) CTX UL listed Class 1, Division 1, Groups C & D, Zone 1, ATEX Zone 1 antennas. The enclosure also includes an internal mounting bracket, hardware and antenna cables. Other access points may be used, contact the factory for more information. Model AP406 Cisco 3602E The AP406 dual band (2.4GHz & 5GHz) hazardous area access point enclosure is design to accommodate the Cisco 3602E (not included). The AP406 may be used to extend the 802.11a/b/g/n network into the hazardous area. The enclosure includes four dual band (2.4GHz/5GHz) CTX UL listed Class 1, Division 1, Groups C & D, Zone 1, ATEX Zone 1 antennas. The enclosure also includes an internal mounting bracket, hardware and antenna cables. Model AP407 Cisco 2602E The AP407 dual band (2.4GHz & 5GHz) hazardous area access point enclosure is design to accommodate the Cisco 2602E (not included). The AP406 may be used to extend the 802.11a/b/g/n network into the hazardous area. 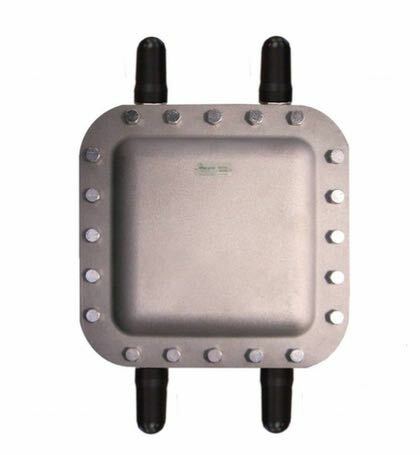 The enclosure includes four dual band (2.4GHz/5GHz) CTX UL listed Class 1, Division 1, Groups C & D, Zone 1, ATEX Zone 1 antennas. The enclosure also includes an internal mounting bracket, hardware and antenna cables. Model AP409 Cisco 2702E The AP409 dual band (2.4GHz & 5GHz) hazardous area access point enclosure is design to accommodate the Cisco AIR-CAP2702E-A-K9 (not included). The AP409 may be used to extend the 802.11 WiFi network into the hazardous area. The enclosure includes four dual band (2.4GHz/5GHz) CTX UL listed Class 1, Division 1, Groups C & D, Zone 1, ATEX Zone 1 antennas. The enclosure also includes an internal mounting bracket, hardware and antenna cables. Model AP410 Cisco 3702E The AP410 dual band (2.4GHz & 5GHz) hazardous area access point enclosure is design to accommodate the Cisco 3702E (not included). The AP410 may be used to extend the 802.11 WiFi network into the hazardous area. The enclosure includes four dual band (2.4GHz/5GHz) CTX UL listed Class 1, Division 1, Groups C & D, Zone 1, ATEX Zone 1 antennas. The enclosure also includes an internal mounting bracket, hardware and antenna cables. Model AP412 Cisco 2802E The AP412 is a hazardous area enclosure designed to house the Cisco AIR-AP2802E dual band access point for use in the hazardous areas. The enclosure and antennas are designed for use in Class I, Division 1 group C & D areas. All hardware, mounting plate, antennas and RF cables are provided to make installation quick and easy. The enclosure utilizes our proprietary explosion proof CTX series of antennas and includes four 2.4GHz/5GHz dual band antennas. The access point is not included with the enclosure. Model AP413 Cisco 3802E The AP413 is a hazardous area enclosure designed to house the Cisco AIR-AP3802E dual band access point for use in the hazardous areas. The enclosure and antennas are designed for use in Class I, Division 1 group C & D areas. All hardware, mounting plate, antennas and RF cables are provided to make installation quick and easy. The enclosure utilizes our proprietary explosion proof CTX series of antennas and includes four 2.4GHz/5GHz dual band antennas. The access point is not included with the enclosure. Model AP402 Hewlett Packard J9621 The AP402 dual band (2.4GHz & 5GHz) hazardous area access point enclosure is design to accommodate the Hewlett Packard J9621 (not included). The AP402 may be used to extend the 802.11a/b/g network into the hazardous area. 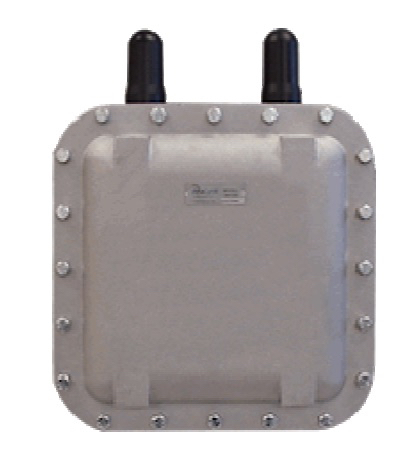 The enclosure includes two dual band (2.4GHz/5GHz) CTX UL listed Class 1, Division 1, Groups C & D, Zone 1, ATEX Zone 1 antennas. The enclosure also includes an internal mounting bracket, hardware and antenna cables. Model AP408 Meraki MR66 The AP408 dual band (2.4GHz & 5GHz) hazardous area access point enclosure is design to accommodate the Meraki MR66 (not included). The AP408 may be used to extend the 802.11 WiFi network into the hazardous area. The enclosure includes four dual band (2.4GHz/5GHz) CTX UL listed Class 1, Division 1, Groups C & D, Zone 1, ATEX Zone 1 antennas. The enclosure also includes an internal mounting bracket, hardware and antenna cables. 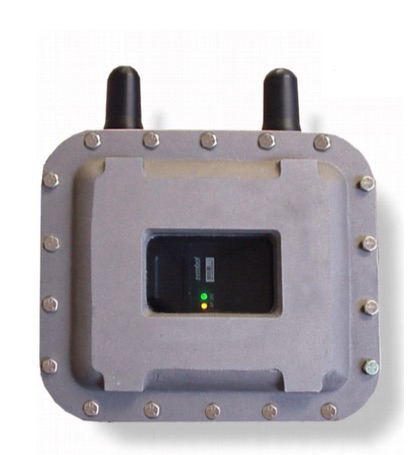 Model AP411 Meraki MR72 The AP411 is a hazardous area enclosure designed to house the Meraki MR72 access point. The enclosure and antennas are rated for Class 1, Div 1, groups C & D Hazardous Locations. All hardware, mounting plate, and RF cables are provided to make installation of the access point quick and easy. The enclosure includes four patented hazardous area CTX series 2.4GHz/5GHz dual band antennas, the MR72 is not included. Model AP201 Meru AP200 The AP201 is designed to house the Meru AP200 access point. 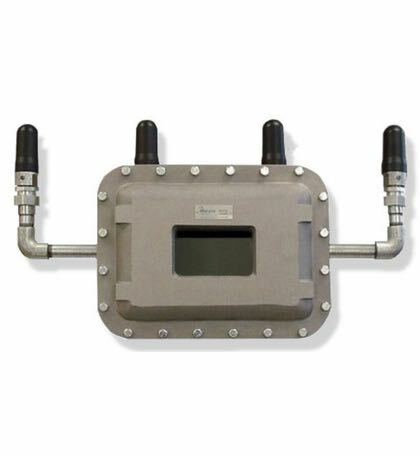 The hazardous area enclosure includes two Analynk CTX UL listed Class 1, Division 1, Groups C & D, Zone 1, ATEX Zone 1 antennas (2.4GHz and/or 5.0GHz), mounting bracket with hardware and two antenna to AP200 RF cables. AP618 Meru AP832 The AP618 is designed to house the Meru AP832 access point. 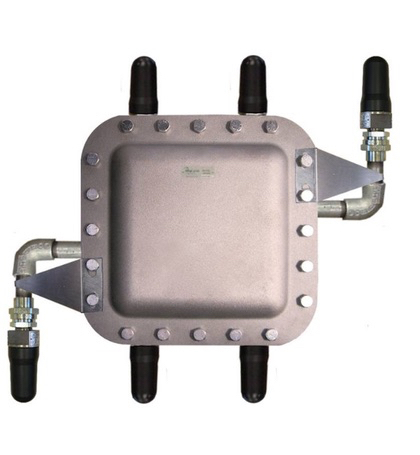 The hazardous area enclosure includes two Analynk CTX UL listed Class 1, Division 1, Groups C & D, Zone 1, ATEX Zone 1 antennas (2.4GHz and/or 5.0GHz), mounting bracket with hardware and two antenna to AP832 RF cables. Model AP404 Motorola AP6521 The AP404 dual band (2.4GHz & 5GHz) hazardous area access point enclosure is design to accommodate the Motorola AP6521 (not included). The AP404 may be used to extend the 802.11a/b/g network into the hazardous area. The enclosure includes two dual band (2.4GHz/5GHz) CTX UL listed Class 1, Division 1, Groups C & D, Zone 1, ATEX Zone 1 antennas. The enclosure also includes an internal mounting bracket, hardware and antenna cables. Model AP405 Motorola AP6532 The AP405 dual band (2.4GHz & 5GHz) hazardous area access point enclosure is design to accommodate the Motorola AP6532 (not included). The AP405 may be used to extend the 802.11a/b/g network into the hazardous area. The enclosure includes two dual band (2.4GHz/5GHz) CTX UL listed Class 1, Division 1, Groups C & D, Zone 1, ATEX Zone 1 antennas. The enclosure also includes an internal mounting bracket, hardware and antenna cables.